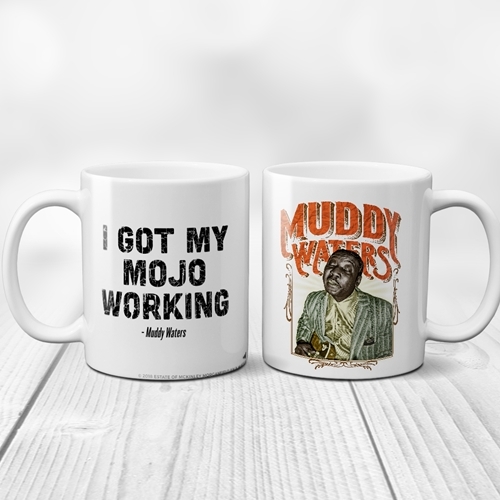 Get your mojo workin with this new official Muddy Waters Coffee Mug. Every sale benefits Muddy's estate. An original Muddy Waters picture is on the "handle right" side, and Muddy's famous phrase Got My Mojo Workin' is on the "handle left" side of this premium 11 ounce Bluescentric Brand ceramic music coffee mug.